To help you decide, why not check out this clip of (just a few!) of our Season 4 highlights? We couldn’t be more grateful to have been recognized at last night’s Barry Awards! It was great to see many fellow hosts, producers, content creators and supportive friends come together to celebrate our station and our collective hard work! Happy 56th birthday CHSR and congratulations fellow Barry Award winners: Diversions (Best Music Show), Python’s Paradise (Best Spoken Word), Rosie’s Juke Joint (Fan Favorite Music Show), Rosie Morning (Fan Favorite Spoken Word), Joe Blades (Long-time Commitment), Tyler Peacock (Best Host), Nick Murray (Director’s Choice) and Roger Jean (Fan Favorite Host & Carmen Kilburn Award)! It’s our first episode of 2017! We hope you can join us Wednesday, January 11 on CHSR 97.9 FM as we discuss Rogue One and….the future! There is plenty to look forward to in 2017. We made a list. Listen locally on 97.9 FM at 9PM Atlantic or around the world at www.chsrfm.ca! 2017 Barry Awards – Fan Vote! 2016 was a big year for The Recap Sequence! When we debuted on CHSR 97.9 FM in January, we were just a couple of TV fans, jazzed about the return of the X Files and hanging on to hope that Jon Snow was really alive. Since then, we have produced 35 regular episodes, a 10-episode Speaking of Thrones stand-alone series and one nerdtastic, 2-hour, star-studded Star Trek season one finale episode. Thanks to a recurring cast of expert contributors, a handful of celebrity guests willing to give us a bit of their time, and most of all, our listeners, we humbly and proudly look forward to seeing what we can accomplish in 2017! And here’s where you can let us know what you think! It’s Barry Award time and you can vote for your Favorite CHSR Music Show, Favorite CHSR Spoken Word Show and Favorite CHSR Host. 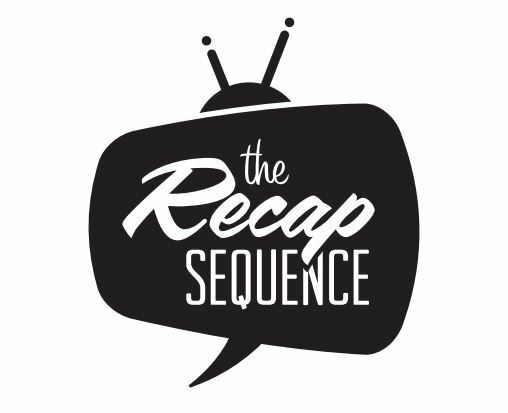 Want to see “The Recap Sequence” emblazoned across one of those awards? You can also vote for your favorite host. Is it Jamie? Is it Ryan? Is it an adorable lab-cultured Jamie AND Ryan abomination? Or maybe it’s just some other host from some other show – and that’s great too. CHSR has a talented field of contenders to choose from and all are deserving of your vote. That said, we’d love to have yours to kick off our 2017! To help you decide, why not check out this clip of just a few of our highlights in 2016? Thanks to all of you for a fantastic year one!